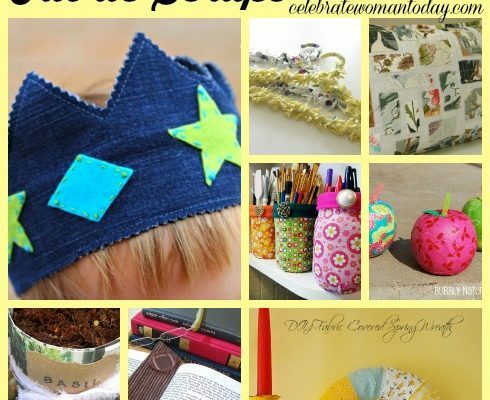 Use up all those fabric scraps in your craft room with these 10 Projects To Spruce Up Your Home Using colorful materials and decor items. Being a crafter means I have a lot of left over supplies from projects hanging around my house. My craft room is an explosion of glitter, cardstock, and fabric scraps. I thought there had to be a way to use my fabric scraps to make something new and beautiful, rather than throw them away. So I hit the internet in search of some fun projects I could do with my left over scraps and I found some great ideas. I wanted to share some of these great ideas with you, so without further interruption, here are 10 Projects to spruce up your home using fabric scraps! 1. 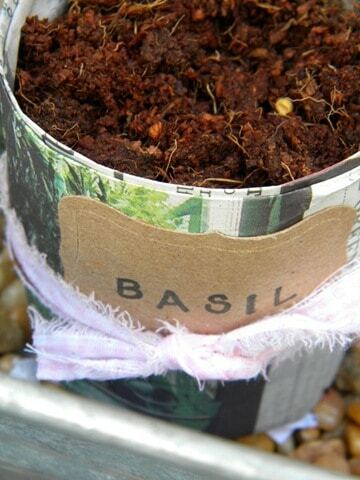 Newspaper Seedling Pots – Your scrap fabric will make a perfect addition to this great project. And the best part is that you will get some beautiful plants out of it! 2. 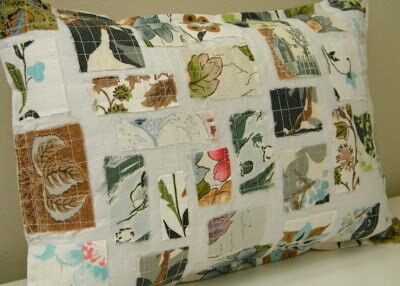 Vintage Scrappy Pillow – Use your fabric scraps to make a beautiful new pillow that will look great on your bed or your couch. 3. 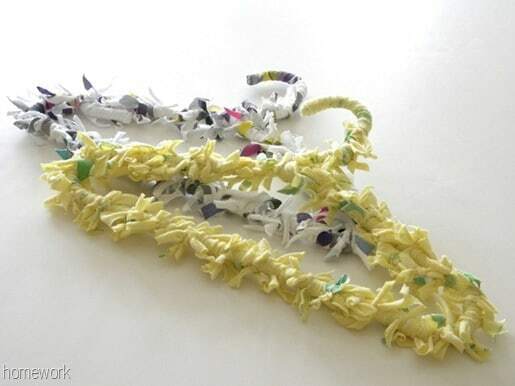 Scrappy Baby Hangers – How cute would a hanger with fabric scraps be to be used to decorate a babies room? I LOVE this look! 4. 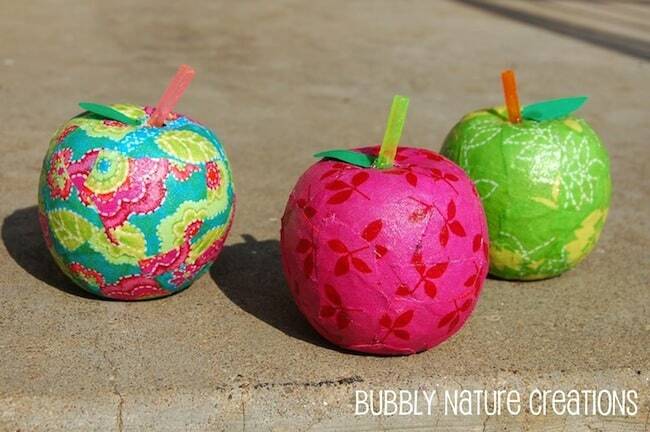 Fabric Covered Apples – These could be done to match so many different styles and decor choices and is easy enough you could even get the kids involved! 5. 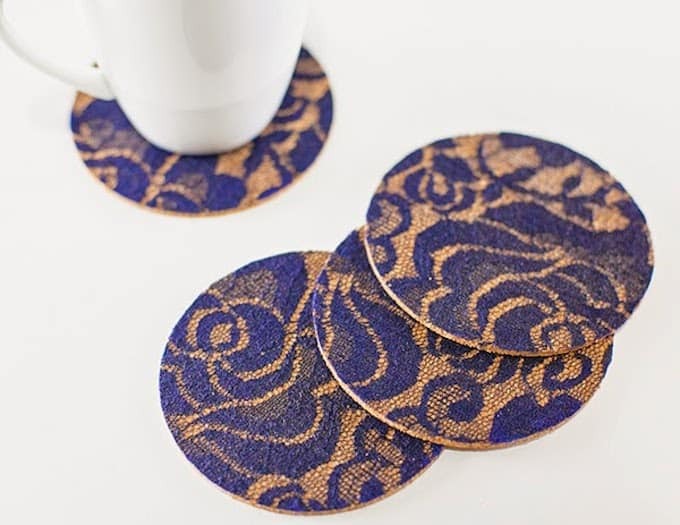 DIY Lacey Coaster – Got some lace leftover? Then this project would be perfect for you and look great on your coffee table. 6. 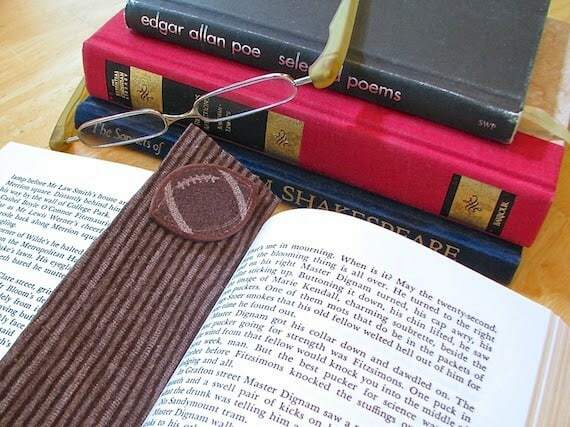 No-Sew Fabric Scrap Book Marks – I don’t know about you but I am always in need of a book mark, and making your own it always better than buying it! 7. 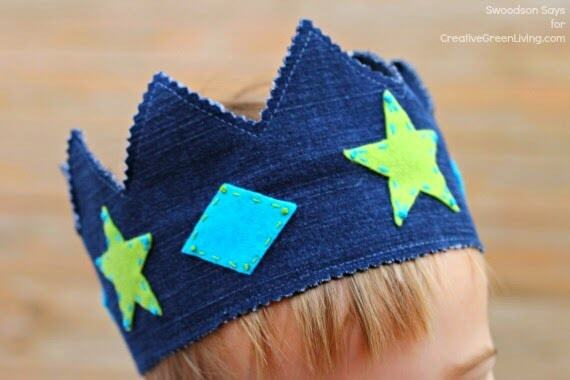 Recycled Jeans Play Crown – Got some denim scraps or an old pair of jeans laying around? Then you have got a great and cute play crown right at your finger tips. 8. 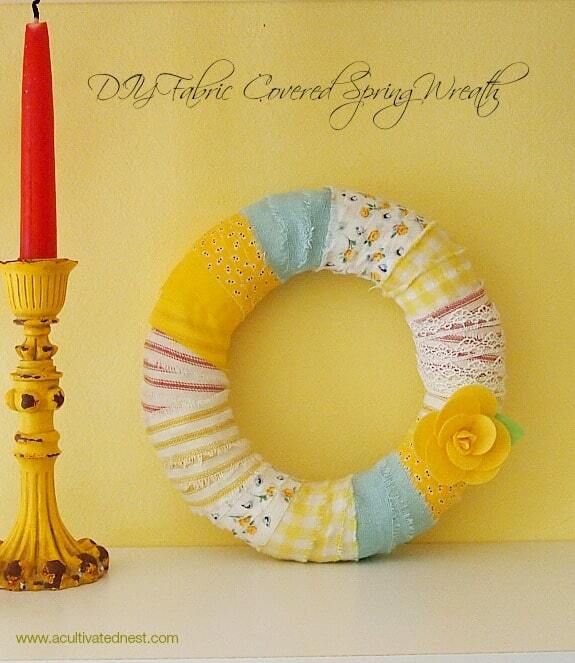 DIY Fabric Wrapped Spring Wreath – Spruce up your front door with this wreath that is perfect for spring. 9. 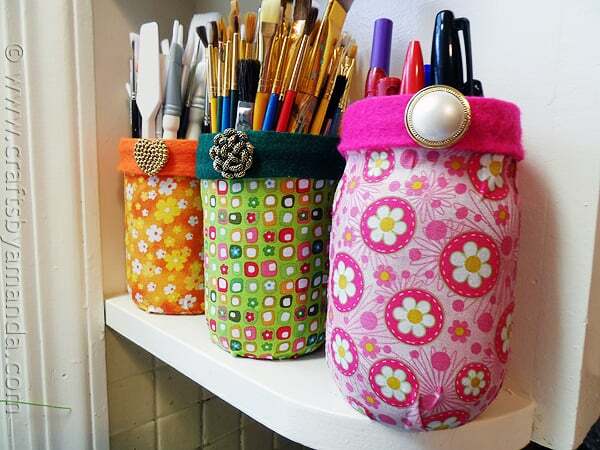 Mod Podge Fabric Jars – Cute jars that you can store anything in! 10. 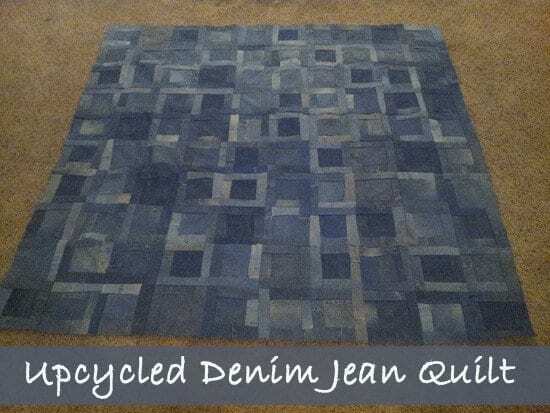 DIY Denim Quilt – I love a great quilt, and this one is made with scraps you already have on hand. Which fabric scrap project is your favorite? Make Camping More Practical With Selk Sleeping Bag! These are all lovely ideas! We have some fabric scraps here that I could use. I’m excited to make some bookmarks! This is a great idea. I love how you used them around the herb planters. It really made them look very festive and decorative. These are simply amazing! Great DIY projects. 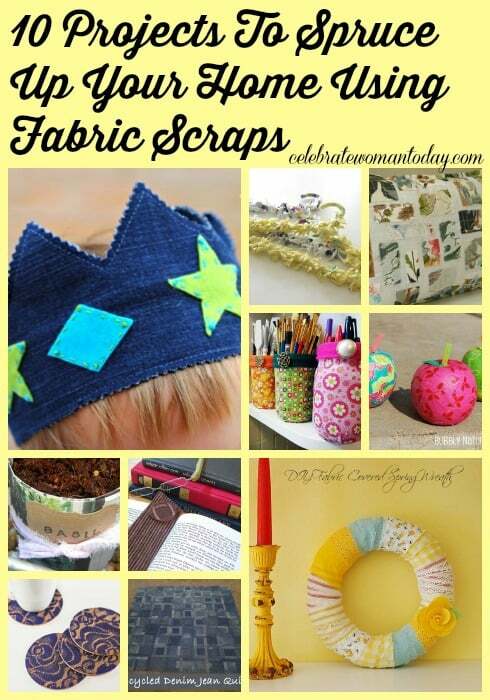 No need to throw away scrap fabrics now! Thanks for these wonderful diy ideas! I love the DIY Fabric Wrapped Spring Wreath. I am sure I have everything it needs to make it! What clever ideas! Janice ends up with lots of scrap fabric… she’ll have to try some of these. I think my fav is the wreath. So pretty! They all turned out so cute! I love the handmade touch on things around the home. Need to make a new spring wreath with my scraps. h this is so great!! I totally need to try this! Now I wish I had some fabric scraps. These are all great ideas. 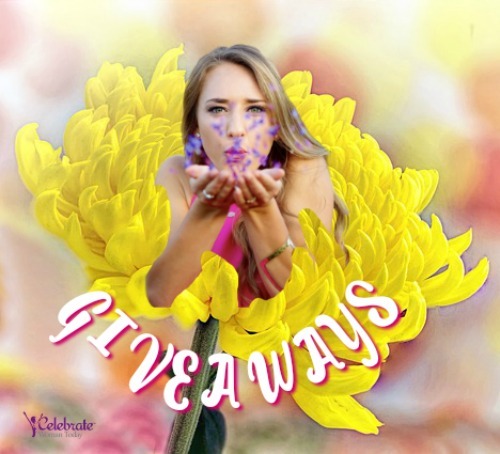 My favorites are the wreath, the hangers, the mod podge fabric jars and the bookmark. These are all such cute ideas! My oldest daughter really loves to craft and would enjoy making some of these. We just used scraps to make some coasters here! It was Star Wars material, so we made some for the Rebels and the Imperial Army! These are all great ideas! I’m particularly loving the apples. What a neat idea and they make great gifts. These are such great ideas! I have to try a few of them! You are a genius! I love all of these so much. The bookmark is my favorite. I love reading, and a nice bookmark adds to the experience.